This study focuses on the role of attentional processes in arithmetical skills and examines if training of basic attentive skills may improve also working memory abilities reducing arithmetic difficulties. In order to study the efficacy of attentional treatment in arithmetic achievement and in enhancing working memory abilities a test-treatment-retest quasi experimental design was adopted. The research involved 14 children, attending fourth and fifth grades, with Arithmetical Learning Disabilities (ALD) assigned to experimental and control conditions. 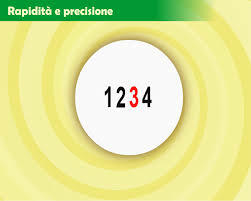 The numerical comprehension and calculation processes were assessed using the ABCA battery (Lucangeli, Tressoldi, & Fiore, 1998). Attentional abilities were evaluated using a multitask computerized assessment battery Attenzione e Concentrazione (Di Nuovo, 2000). WM abilities were evaluated by Listening span task, Digit span backward, Making verbal trails and Making colour trails. The results showed that intensive computerized attention training increased basic attentive skills and arithmetical performances with respect to numeric system in children with ALD. No effect on working memory abilities was found. Results are also important from a clinical perspective, since they may suggest strategies for planning individualized training programs.